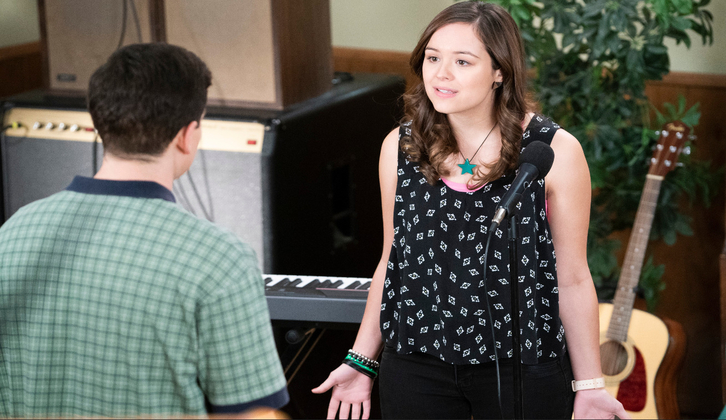 "My Valentine Boy" - With Geoff's help, Erica and Valley Erica find a new band member to replace Lainey, but BARRY convinces Geoff the new band member is trying to steal Erica from him. Meanwhile, Adam and Murray try to out-gift each other so that neither of them has to go to Valentine's Day dinner with Beverly, on an all-new episode of "The Goldbergs," airing WEDNESDAY, FEB. 13 (8:00-8:30 p.m. EST), on The ABC Television Network, streaming and on demand. "My Valentine Boy" was written by Matt Mira and directed by Lew Schneider.